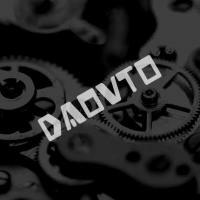 daovto had the most liked content! Tudor GMT date set issue? Have some issues with date set on a ZF Tudor GMT with a (insert movement). It flips over sometimes, and slips at others. And to add once set if I flick my wrist or just look at date later on the date has changed by one or two days. Easy fix likely? Worth a DIY watchmonger who knows which side of screwdriver works could take on🙄 or shall I not risk it as it keeps smashing time and GMT works a dream. The date is... but the brushing on the bracelet not as fine as gen. Actually the date isn't too bad. One of them is a darned sight easier to set/adjust that's for sure! I'll not kid you... when I put them down and took the photo then picked them up I wasn't even sure which was which. Hmm interesting... I'll see if anybody else wants to play. I can see one tell side by side which could be easily corrected. I love this watch in both it's incarnations... would happily keep either (or currently both)🥰 The gen happens to be more accurate right now. But not by so much as I would worry about it. Real nice 👍. Very nice clean dial - ultimate clarity on these. Picked up a Gen LHD just recently and I haven’t been as impressed with a watch for years!! You could contact any of the Trusted Dealers or upgrade to a VIP membership and post a Want To Buy for one. The rep 58 is available I hear? Anybody have one on order yet? QC shots received? I was considering Gen 58 but ended up getting a Bronze Bucherer in anticipation of the ZF 58! !